Srinagar, Nov 8: A partial cloud cover marginally improved minimum temperatures across the Kashmir Valley on Thursday as the Ladakh region continued to reel under the first cold wave of the season, Met said. "The cold wave conditions are likely to continue for another three days. 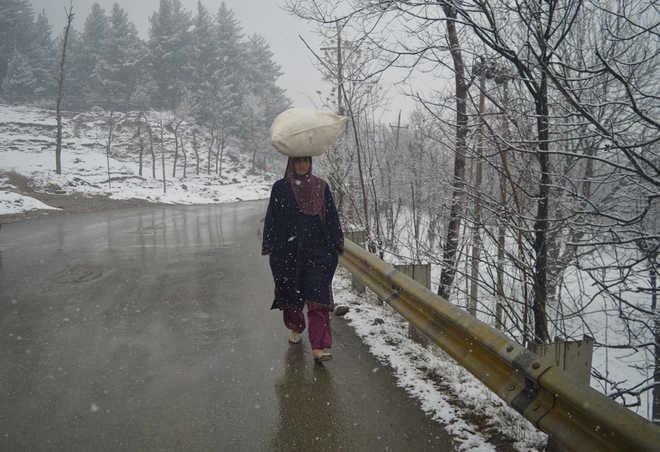 We are expecting another spell of moderate rain and snow from November 12 to 14," a Met official said. The minimum temperature improved to minus 0.4 in Srinagar against Wednesday's minus 2.2 degrees, while Pahalgam recorded minus 3.4 and Gulmarg minus 5.4 degrees Celsius. Kargil town in Ladakh was the coldest in Jammu and Kashmir at minus 8.6 followed by Leh at minus 6.5 degrees Celsius. Night's lowest temperature was 11.5 in Jammu city, 1.2 in Katra, 3.2 in Bannihal, 7.1 in Batote and 3.8 in Bhaderwah, he added.